This dark golden coloured ale hugs the palate with great intensity. 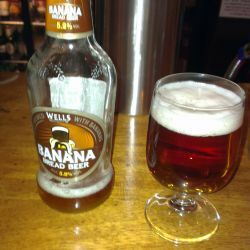 Its malty aroma is complemented by the gentle nose of banana (using fair trade products). Its flavour unfolds with a sensual sparkle and smart crispness, perfectly balancing its aroma. Anchor Steam beer owes it deep amber colour, thick, creamy head and rich distinctive flavour to a historic brewing process like none other. A blend of pale and caramel malts, fermentation with lager yeast at warmer ale temperatures in shallow open-air fermenters and gentle carbonation in there cellars through all-natural process called krausening. Based on their IPA malt grist but bolstered by the wonderful American Amarillo Hop it's a world class pale ale. Pale in colour with a full fresh citrus aroma, Hollyrood has a light body, moderate bitterness and tangy grapefruit flavours. Refreshing, balanced and full of flavour. This is a captivating gold bier, sophisticated in taste and rich in colour. 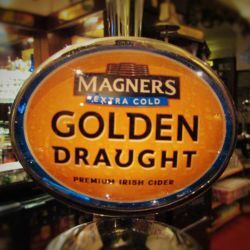 Edinburgh Gold boasts an attractive continental hop aroma with moderate bitterness and a pleasing smooth finish. 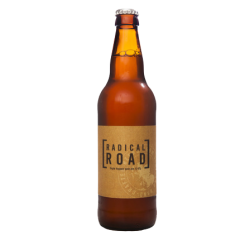 A tripple hopped pale ale bursting with American hops and tonnes of pine, citrus and grapefruit. This makes for the highest hopped beer in the Stewart Brewing repertoire and of course some very hoppy beer! IS IT A LAGER, OR A PALE ALE? Does it matter or do you even care? A light biscuity blonde style beer loaded with New Zealand Organic Hallertau aroma hop's, this creates a grassy, germanic aroma. The continental style beer carries a hint of honey sweetness, balancing with the dry, crisp, refreshing pallet and biscuity finish. A SOARING AMBER ALE! As the name suggests, this amber ale lifts the spirits by infusing classic British hop's with a malty backbone to create this medium bodied thirst quencher. Perfect all year round! The first beer brewed at Alechemy HQ and named after a famous local landmark. A deep amber colour, this red IPA is solely hopped with Chinook. The pine bouquet combines with amber and pine malt's to give a wonderfully balanced beer. An accolade to a long and frustrating day! with a generous amount of hop's and a low abv, what better way to put a smile on your face? A light golden ale with a heavy hop bitterness and flavoured with a strong fruit and citrus aroma. Matured over oak heartwood infused with specially selected rums, it's spicy, full-bodied qualities make it a lively sparring partner for a round or two. A pioneering beer, incredibly smooth with a delicious toffee character and a light hop fruitiness. Caramel and rich roasted malts on the nose. With a creamy and warming finish. Inspired by trident-forging cyclops of brute strength and singular vision. Smooth caramel citrus zest. Giant IPA. At the end of the day it's red and got Rye in it. One of the favourite malt of the moment, melanoidinmalz. This pale ale isn't afraid of flavour, exquisite helpings of English and American Hop's, add citrus and pine notes. Not the ordinary but most definitely worth the taste. "No Monkey Business" at this Summerhall Brewery. It all started with a swap for swap. A Theakston pint and a Speyside Malt, the result? Theakston's finest Masham Ale, warmly acquainted with the flavour's of Speyside Malt Whisky. The Moral? Try it, you might like it! They use East Anglian Malt, Saaz and Cascade Hop's, then re-ferment using Champagne yeast. A modern lager beer made to refresh and delight. 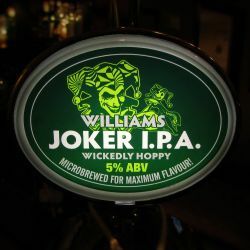 Also brewed by the brewers of Caesar Augustus, Joker IPA gives constant satisfaction, golden in the glass, fruity in the nose. Joker is Bitter Sweet and will leave a smile on your face every time. 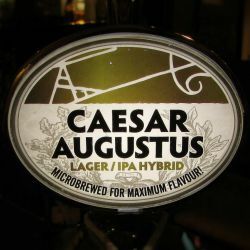 This Lager/IPA Hybrid is a revolution in refreshment and flavour, all the crisp notes of the finest lager but with the bitter finish of a well balanced IPA. The Williams Brothers Brewing Company started in a humble "Glenbrew" homebrew shop in Glasgow, this was the family owned business that was both there occupation and passion. 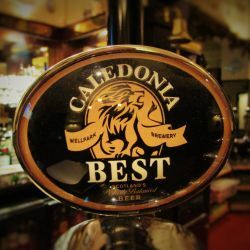 Caledonia Best was launched in November 2011. It uses 100% Scottish barley and it is currently the sponsors of the National Rugby Team. (Ohld-moot-sy-der) is the correct way to pronounce this cider. Established in Nelson, New Zealand it's popularity has soared since it came to our shores last year. We have three fantastic flavours - Passionfruit & apple, Kiwi & lime and Summer berries for you to enjoy. Bob Chaplin the master cider maker is always exploring and experimenting. The brewers are "Free range thinkers", the magic is that every keg is slightly different. 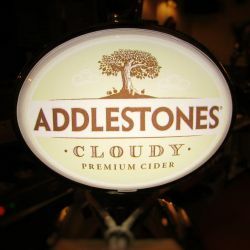 The 100% West County cider apples gives it a gentle sparkle, never filtered, for a lightly cloudy finish and real apple taste. Bulmers irish cider, branded as Magners irish cider outside the Republic of Ireland. It gives you something different with a really crisp taste by using a higher proportion of the smaller, harder to crush Dabinett and Michelin apples. The abbey of Affligem was founded around 1074. The label"ANNO 1074" on the bottle is based on the foundation history. The recipe has been handed down from Brother to Brother and is brewed to the same recipe created by the monks nearly 1000 years ago. A Dutch brewery founded in 1615 by William Neerfelot in Groenlo, the Groen family held a significant stake until November 2007. It was awarded the Koninklijk (Royal) title in 1995. Budweiser Budvar brewery is one of the highest selling beer's in the Czech Republic and exports to 60 countries worldwide. Produced from finest Saaz aroma Hop's, carefully selected Moravian malt and soft water drawn from well's 300 meters deep. Krombacher Pilsner is the number one premium beer in Germany. 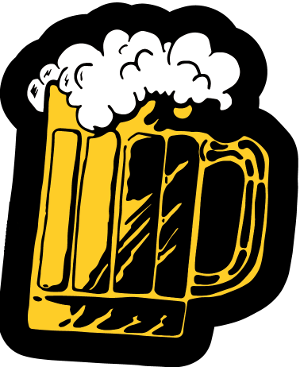 Brewed under the Reinheitsgebot "Pure beer" rules and is under family ownership and control. Brewed by Desnoes and Geddes in Jamaica, it was first produced in 1938 from a recipe developed by Paul H. Cotter (the son of founder E.P. Cotter) and Bill Martindale. Peroni brewery was founded in Vigevano in Lombardy Italy in 1846. It has been based in Rome since 1864 and "Nastro Azzurro" is the most famous beer they brew. Corona Extra, (Coronita in Spain) is a pale lager produced by Cerveceria Modelo. corona is commonly served with a wedge of lime or lemon in the neck of the bottle to add tartness and flavour. Modelo Especial is a pilsner-style lager whose original recipe was first brewed in mexico in 1925, under the vision to create a "Model" Beer. Based in Edinburgh, brewed in glasgow Innis & Gunn was nominated at the G8 Summit 2005 on the drinks list. Pronounced malty flavours balanced by a light unusual hoppiness. Created in association with the Abbey of the order of Premonte, Heverlee is inspired by the beers first brewed by the monks in medieval times. The head stays bitter while the beer beneath stays sweet for a perfect balanced taste. 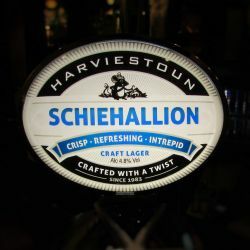 Schiehallion is a stunning lager with elegant head and luscious lacing. It has "Aromas and flavours of fresh-cut grass, brown sugar, lychee and green mango", (plus it's one of the easiest Munro's to climb). 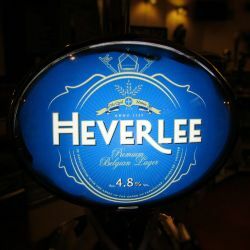 Scotland's best selling brand of pale lager since it was first produced in 1885. 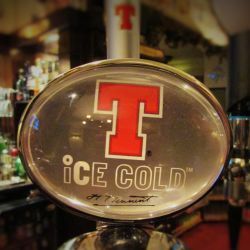 Tennent's lager is certified by the Vegetarian Society as being suitable for vegetarians. This rich, lubricious, black beer reminded Harviestoun's original brewer of the engine oil he was familiar with having worked for Ford. A modern take on the 19th century porter style, it is complex, powerful but elegant distinctive notes of chocolate and coffee lead to a bitter sweet after taste. In the 1800's, porter was the working man's beer. 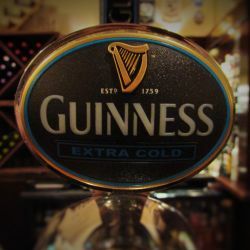 The most respected porter of the time was Guinness. The Brewers have interpreted the earliest porter recipe - a tasty, sweet, smooth beer with warm notes of dark caramel. A dark amber colour with a fruity English hop smell and a sweet malt, fruit hop flavours. A fantastic beer we had last year, but be quick we sold out within a week !!. A bright copper colour with a premium bitter style, Tropical fruit aromas, grapefruit and lychee flavour, citrus finish. The aroma of Doom Bar combines an accomplished balance of spicy resinous hop, inviting sweet malt and delicate roasted notes. A new beer produced in partnership between Edinburgh Castle and Caledonian Brewery, this cask ale has a complex malt and hop flavours. Dry but spicy. A full, rounded stout, this beer has been a quadruple winner at the brewing industry international awards. This contains a fusion of dark chocolate essence and chocolate malt giving this it's distinctive flavour. Guinness is an Irish dry stout that originated in the brewery of Arthur Guinness at St. James's Gate in 1759. On the 19th May 1769, Guinness first exported his ale, he shipped six-and-a-half barrels to great Britain. Brewery: Blue Moon Brewing Co.
A refreshing, un-filtered wheat beer brewed and spiced in the Belgian tradition. It's brewed with oats for creaminess and spiced with the perfect combination of orange peel and coriander. Fruli or Van Diest Fruli is a strawberry Belgian fruit beer, produced at a craft brewery near Ghent. It is produced by blending Belgium Wheat beer (70%) and pure strawberries (30%).